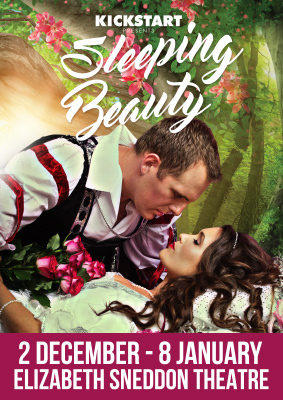 KickstArt’s much anticipated contribution to the festive season is the traditional family pantomime, Sleeping Beauty. Inspired by the film Frozen, this magical tale unfolds in a magical Scandinavian country, all Gothic towers, wreathed with snow, crystal and ice, and promises a romantic, enchanting adventure for all ages. 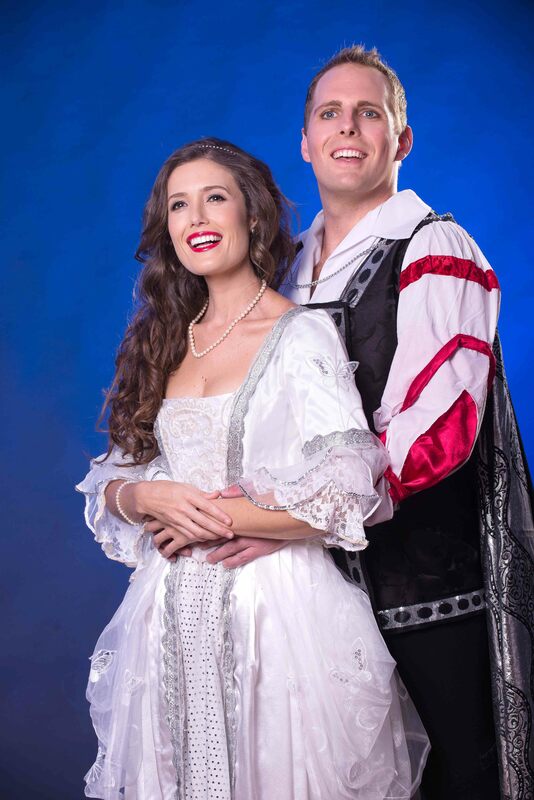 It stars Haylea Hounsom as Princess Rose, with Lyle Buxton as her handsome prince, Robin. Carol Trench makes another rare and very welcome return to the Durban stage to play her hilarious and anxiety-ridden mother, Queen Dot, and Peter Court plays her lugubrious, hard of hearing father, King Frotho the Frosty. Darren King and Graeme Wicks provide masses of humour as Nurse Nora Knickersnagger and Huckleby Hopscotch the court jester, and Bryan Hiles reaches new levels of charming silliness as the cowardly knight, Sir Ninnyliver. 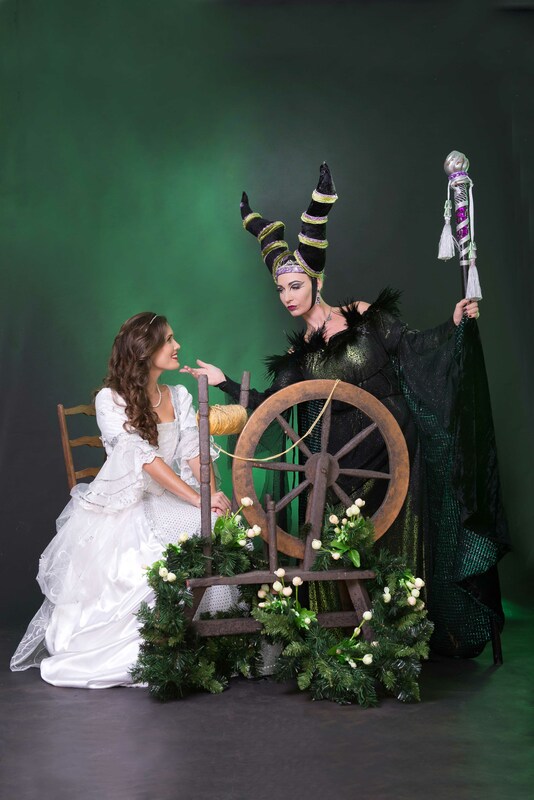 The magical forces of good and evil are splendidly represented by the effervescent Belinda Henwood as Celestina Sparkle, and Katy Moore as the deliciously evil Maleficent. Sleeping Beauty is directed by Steven Stead, with musical direction by Evan Roberts, set and costume designs by Greg King, and lighting by Tina le Roux. It runs from 2 Dec to 8 Jan, with performances at 2.30pm Tues-Sun, 7pm Fri or sat. No performances Christmas day, Boxing day or New Year’s Day.